When it comes to finding pizza in Baltimore, there are plenty of options. When you’re looking for good pizza, that’s a completely different story. 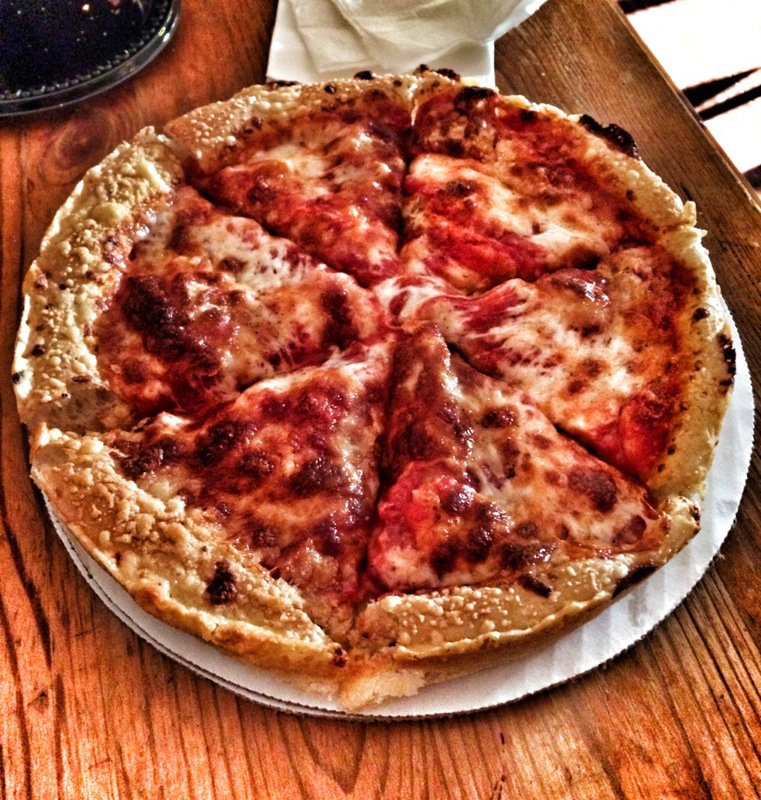 In Locust Point, on a street with row houses lies a hidden gem with wonderful deep dish pizza. That place, is called Our House and the name is fitting. Inside, you will truly feel at home. Check out my brunch review here. The decor is similar to what you would find inside of your kitchen. It’s relaxed, warm and inviting to say the least. After looking over the menu my friend and I decided on a few things to share. 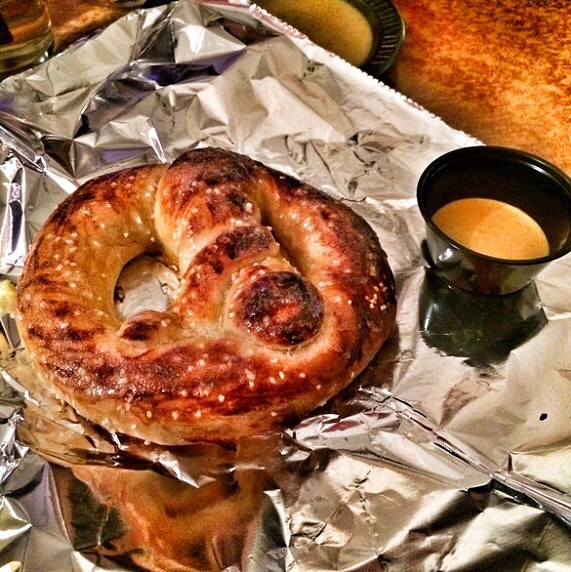 The first was the Bavarian Pretzel. It was nice and doughy with a crunchy exterior. The pretzel comes with a side of delicious homemade spicy mustard, but it also tastes great dipped in their house dressing. My friend and I also decided to share an order of Garlic Bread. 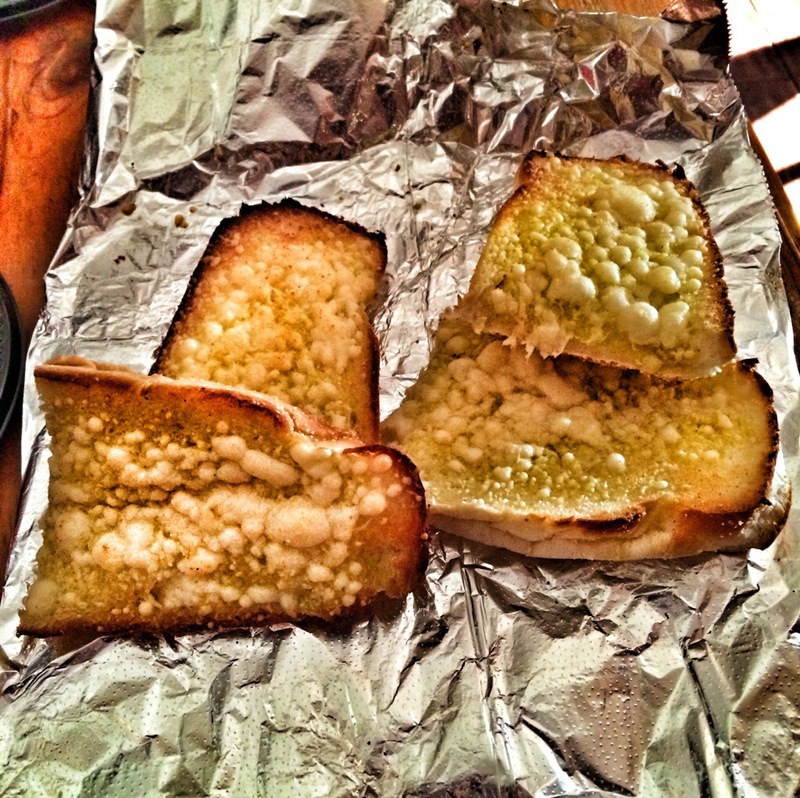 The crunchy bread was topped with EVOO, garlic, spices and parmesan cheese. It was delicious and we also dipped that in their amazing homemade dressing. We then each decided to order a pizza with the intentions of having leftovers for lunch. I ordered the Buffalo Chicken Pizza, it was homemade buffalo sauce, chicken, three types of cheese and bacon. This pizza was spicy, served piping hot and delicious. The crust was nice with a crispy exterior and a doughy interior. 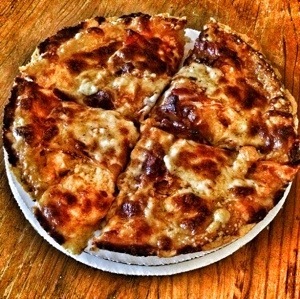 For our other pizza, we decided to try something more traditional and went with the Our House BOTH Cheese Pizza. This pizza was served on the same delicious crust as the other one and had pizza sauce, parmesan cheese and mozzarella cheese. It was another great choice. Our House is on OrderUP, use my referral code for $5 off your first order. 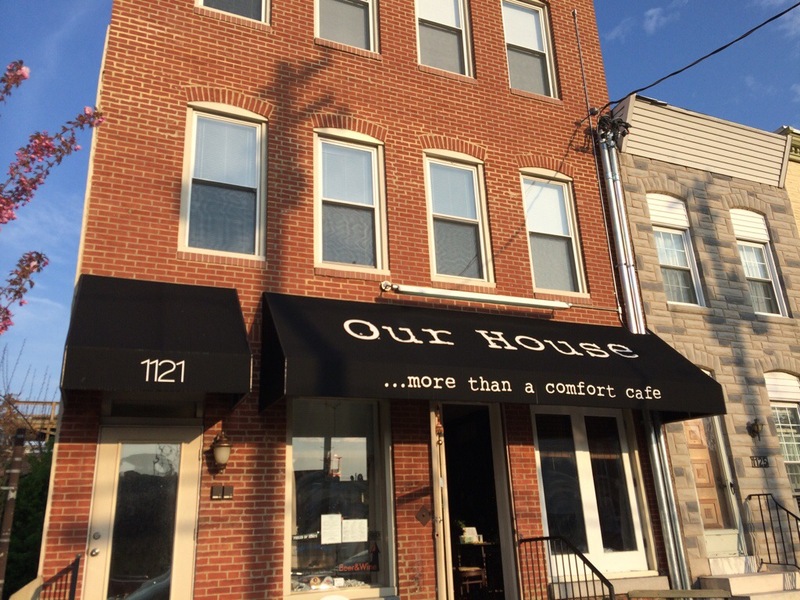 Our House is located at 1121 Hull St., Locust Point, MD. How do they compare to Home Slyce or Hersh’s??? I love Hersh’s – it’s a very different style of pizza though. Hersh’s is more of an Italian experience while Our House is very casual. And HomeSlyce is almost a bar and I’m really not a huge fan of their pizza, the crust has a weird texture.